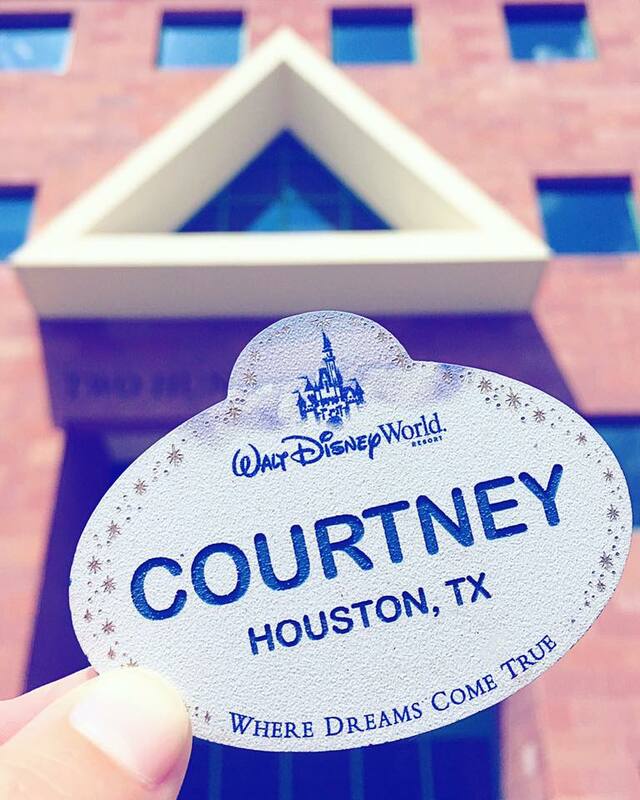 While it's a completely different experience working for Disney in an office, I am so glad I had this opportunity. A mentor told me early on in my internship to truly value being able to experience the company from this perspective, because it could really set me apart as I move forward in my career path. 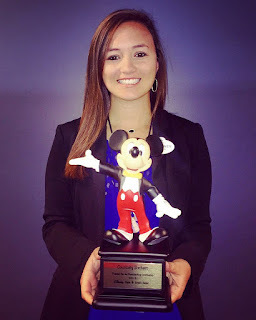 I learned so much about professionalism, communication, and partnership from working in an office, and Celebration was a wonderful place to call the second stop in my Disney journey. 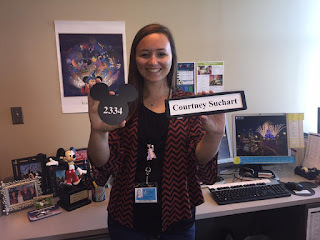 Here are photos from my last day working in my first Disney office! 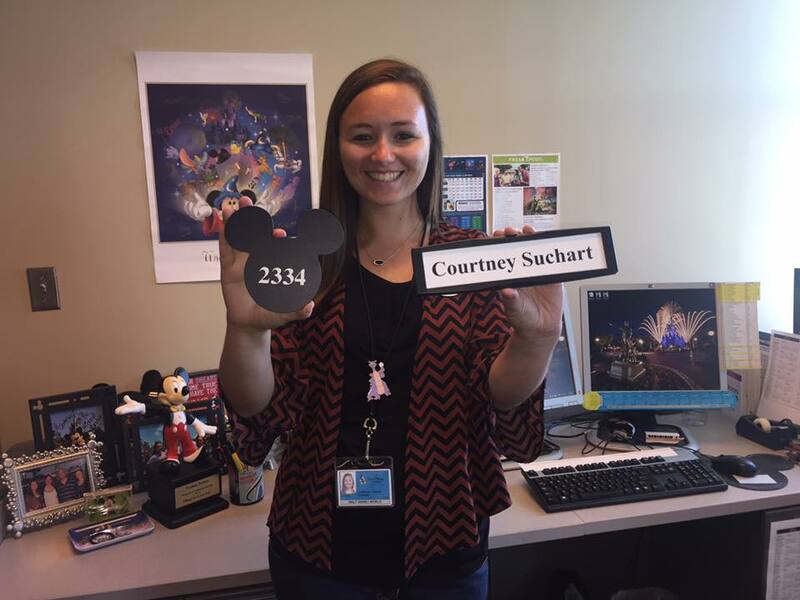 Because where else has Mickey-shaped office numbers?! A long-standing tradition in the Walt Disney Company, started by none other than Walt himself, are the Mousecar Awards. These are given to individuals to recognize an achievement within the company. I received my very first Mousecar today to recognize a successful Professional Internship with my department, Park and Event Sales. It is definitely something that I will treasure for the rest of my life! Receiving my first Mousecar Award! "Nothing like you expected, but everything you were looking for." So much was learned inside this building! I can't begin to describe how grateful I am to have had the opportunity to work in Sales. I have learned SO much that I will truly be able to carry with me forever. I've witnessed firsthand the importance of effective communication strategies and functions. I've strengthened my knowledge of the convention sector, added many programs to my technical skill set, and increased my sales techniques and practices. Working on a small team also taught me how to wear many hats as I improved my multi-tasking skills, contributed to a variety of special projects, and made improvements to my department. Throughout this semester, I have become involved with Give Kids The World as a Volunteer. Give Kids The World is a Village that allows children with life-threatening illnesses and their families a place to stay, free-of-charge, while they enjoy everything that Central Florida has to offer. This is where many of the families coming on trips through Make A Wish, and similar organizations, stay during their visit. The Village has many dining options, hosts parties and activities every night, and even includes fun things to do such as train rides, a salon, a pool, a carousel, and an ice cream parlor. Every year, the Celebration offices host an Earth Day Celebration during lunch! There were different games and stations to learn about ways to make the office more environmentally friendly, a recycled art contest, and a Farmer's Market. Russell and Dug from the movie Up also came to visit! It was such a fun event and I'm so glad I got to participate! I love working for a company that not only values the environment, but contributes so much towards conservation efforts and making our world a better place. Here's some photos from the Earth Day event! My hope to meet characters during my time working in Celebration came true! My friend Michael and I received our Guest Relations offers on the same day! Guest Relations has been both of our dream roles for years, and I couldn't be more excited to go through this experience together! We had spent the two months after our interviews trying to keep each other sane throughout the process, so receiving our offers together called for some well-deserved celebrating! Here's a few photos from one of the best days of our lives; one of which I'll truly never forget the excitement and sense of accomplishment that we felt! 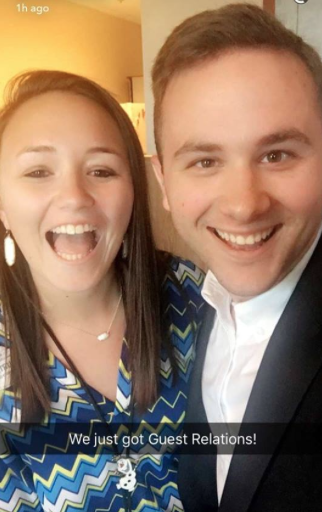 An incredibly excited snapchat after getting our offers!!! There's dreams, and then there's lifelong, ultimate, need to achieve dreams. This one is the latter. I'd always wanted to be a Cast Member; that was the overarching dream... but I always knew I could somehow make that happen. With a company this large, I knew that with enough dedication, I could become a Cast Member one way or another. But Guest Relations, that has been a whole other level of dreaming. This specific role has been the one I always envisioned, always dreamed of, and always pictured myself in. Such a coveted and crucial role, in a department started by Walt himself when he saw the need for it in Disneyland. I cannot begin to express how many times I've imagined myself in plaid, and imagined myself being able to make such important impacts on people's vacations. I've been working towards this role for so long, doing everything possible to prepare myself to be the best Guest Relations Cast Member I can be, but not knowing when that time would come. On April 5, 2016, one of my most solidified and meaningful dreams came true. 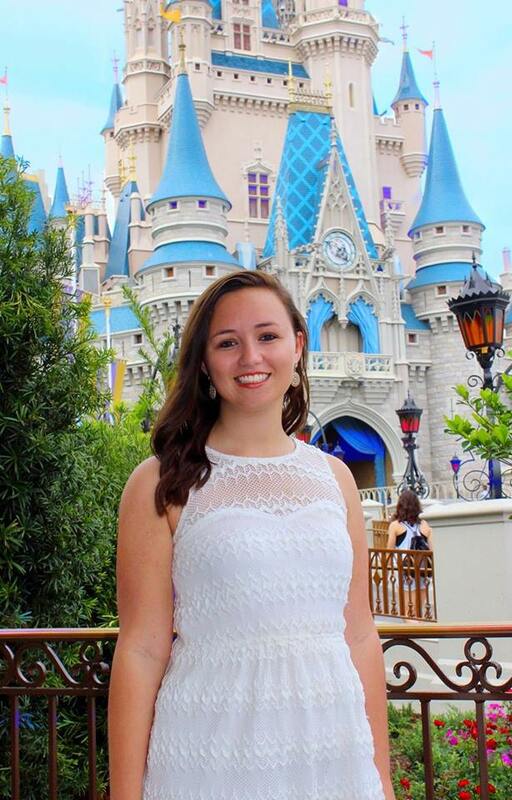 The opinions and comments on this website are my own and do not reflect the views, opinions, policies, or procedures of The Walt Disney Company or any of its subsidiaries or affiliates, including but not limited to The Walt Disney World Resort, Disney Internships and Programs, and all other included areas. © 2014 - present, by Courtney Suchart. Picture Window theme. Theme images by enjoynz. Powered by Blogger.